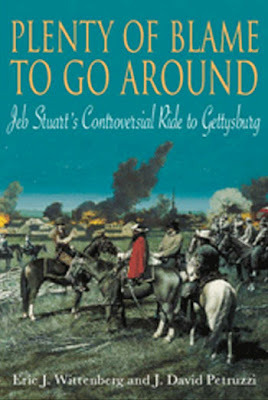 Recently, the newsletter of the Old Baldy Civil War Roundtable of Philadelphia published the results of an update poll as to the 50 greatest books on the Civil War of all time, and J.D.’s and my book Plenty of Blame to Go Around: Jeb Stuart’s Controversial Ride to Gettysburg made the list! We’re in some very elite company, and it is both humbling and flattering to make a list like that. I’m also pleased to see Jim Morgan’s A Little Short of Boats: The Fights at Ball’s Bluff and Edwards Ferry make the list; we published that book at Ironclad, and I was the one who persuaded Jim to write it. Given that thousands of books have been published on the war, to make the top 50 is an incredible honor. I can’t fathom how a couple of these books would make such a list, such as the horrible dreck that Jeff Shaara churns out (I couldn’t even bring myself to finish that awful book), or how Gone With the Wind qualifies, but so be it. I am nevertheless greatly honored and greatly humbled all at the same time to be considered in such elite company as the rest of the list, and I thank everyone who voted for us. Thanks to Tom Ryan of Bethany Beach, Delaware for bringing this to my attention. It’s indeed gratifying and humbling to have your work though of in the same company as so many classics. It’s appreciated beyond words that many folks see our work as important and ground-breaking. And yes, there’s definitely quibbling about some of the inclusions – Jeff Shaara’s writing literally gives me a headache (the broken sentences and horrendous grammar can’t be read without copious amounts of Aleve!) and Goodwin’s Team of Rivals is one of the most inaccurate books based on a faulty theory (Lincoln’s cabinet was anything but a team) I’ve ever read, but I think any number of readers would come up with a completely different list. But the compilation of submissions put us on the list, and that’s really awesome. Awesome beyond words. Awesome is a very good word to describe it. But then there are some great titles on the list. Congrats! Congratulations on making the list. I like the ‘Last Full Measure’. I think that Shaara did a decent job on it. Not in the ‘Killer Angels’ league but leaps and bounds better than ‘Gods and Generals’ and better than any novel he has done since. But I hate to see some awesome Civil War fiction not in the list, if they are going to include fiction. 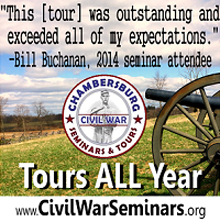 Howard Bahr’s trilogy is some of the best writing on the Civil War in fiction or nonfiction. His ‘The Black Flower’ is one of the most heartbreaking books on the war. ‘The Year of Jubilo’, and especially ‘The Judas Field’ are up there with it. These novels are in the league of the best Civil War fiction ever written. I think as Southern literature goes they are up there with Faulkner. The Army of Tennessee and the Battle of Franklin both come to life in Bahr’s books and I highly recommend them to all Civil War readers. Fiction books should have been left off this list. Like you said, it’s a peculiar list. 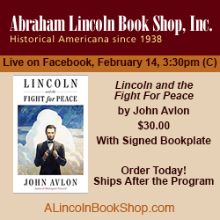 Buell’s “Warrior Generals” has fatal flaws too numerous to list; Sandburg’s work on Lincoln has been enjoyed by many, but can’t be taken seriously among the “best of all time” for that subject. Boatner’s “Dictionary” was useful in its time, but was long ago supplanted by more reliable works. Sounds like nostalgia played a part in some of these selections. It would be a good idea to have a fiction list and a non-fiction list. But a book like ‘The Killer Angels’ has been as important in Civil War history reading as many non-fiction books have been. If the ‘Iron Brigade’ by Alan Nolan should be on the list, they should put James Robertson’s book on the Stonewall Brigade. And I love Peter Cozzens and his book on Chickamauga but Ithink his wonderful book on the Corinth campaign should have made the list because it added much to our knowledge of those battles. I would also had Ken Noe’s book on Perryville because it added great information to that important campaign. Reading Cozzens’ and Noe’s books together would give a reader great, readable information on the important fall 1862 campaigns in the Western theater. Bradley’s Bentonville book could have been on it instead of ‘April 1865’. Also Fonveille’s wonderful book on the Wilmington campaign. These lists are for fun and Civil War buffs can endlessly debate what should have been on the list. The list reminds me of Civil War Interactive’s from a couple of years ago. It would be interesting to know how the list was compiled. Did they poll all members and ask simply for a list of their top 50? I do my best to attend meetings of my local CWRT here in C-Ville. The members are very nice, but most people haven’t read to the extent that people here have, so it is not surprising that some of these books made the list. In fact, I would venture to guess that the majority have read a couple of books, including a few of the more popular fiction titles that appeared on the list. Congratulations! I’m in general agreement with the titles mentioned that don’t belong on the list and there are a few others that would have made my personal list, but that’s the nature of lists like this. Great that you guys are included! 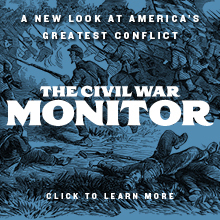 I am not a full-blown expert on the Civil War, but judging from most of the titles, it looks like the western theater is once again left in the dust. Some of the titles are more vague than others, so perhaps there are some in there that I simply haven’t heard of? I would love to see someone acknowledge Price’s campaign in 1864, or even classic works by historians like Dudley Cornish, who includes quite a bit of information on Kansas and Missouri in his _The Sable Arm_. As for how we compiled it, we asked every reader to send their top 3 Civil War books in order. We then gave 3 pts. to their first choice, 2 to their second and 1 to their third. We then added all ponts together and ranked the results. The scoring system probably has flaws, but it was just for the enjoyment of our readers. For what it’s worth, trust me there were plenty of books I wouldn’t have ranked in the top 500 let alone the top 50, and there were even more that would make my top 10 that didn’t make the list at all. I thought the poll looked familiar. I was thinking that it reminded me quite a bit of the Civil War Interactive poll. No Wonder, because it was the Civil War Interactive Poll. Congrats, Eric, J.D. and Jim Morgan. I pretty much agree with what Mike Peters wrote except for his inclusion of GWTW. As flawed as it is, for some of us, the perils of Scarlett O’Hara was our introduction to the CW. I couldn’t finish “Last Full Measure” and was disappointed to see that Francis Donaldson’s fantastic “Inside the Army of the Potomac” didn’t make the cut. As for “Confederates In The Attic,” I’ve already shared my feelings on THAT book and nothing has happened to change my mind so I won’t repeat myself. I agree with the poster who said Mark Bradley’s book on Bentonville and Chris Fonvielle’s book on the Wilmington Campaign should have been included. Francis Donaldson’s ‘Inside the Army of the Potomac’ is wonderful. I picked it up last year and could not believe how excellently written his letters were and the light they threw on the inner turmoil of the Army of the Potomac and the battles they fought in. It is disappointing to see Jeff Shaara’s works on here and not, say, Gabor Boritt’s or Allen Guelzo’s works on Lincoln and Gettysburg. Just finished The Destructive War, by Charles Royster. I can see why it’s so highly rated on many lists. A different, and difficult read. This author has quite the vocabulary! Big insight into Stonewall, and Sherman, but especially Sherman. I had no preconceived ideas about the man except for the given March to the Sea, but this book really gives a great look into the man himself, and Stonewall as well. A great read. Not easy, but well worth it.